Music is for heart what peace is for mind. We never truly realize how much music affects our life knowingly and unknowingly. It is an escape route from the stressful lives we lead. Since ancient times people have resorted to music, not only in the times of grandeur but also in times of famine to please the gods and deities. Music is particularly healing for the disabled. Many researches have concluded that listening to or indulging in playing music has a positive healing impact on the person. In such a scenario, this thought must be undertaken and new technology must be developed which supports the disabled people to find solace in music. If a tactile mobile phone can be invented then a tactile musical instrument can also be. Skoog is one such model. 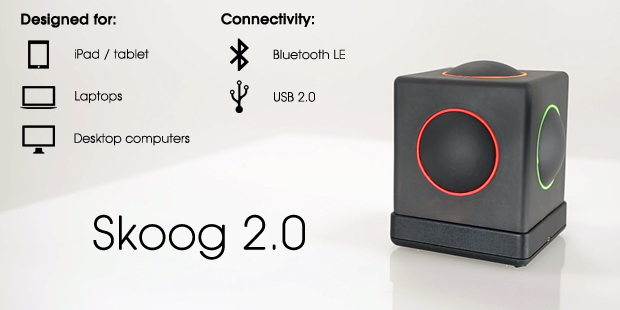 Skoog 2.0 is the latest concept of new musical instrument. Not only does it have the capability to support people who have lost their vision, it can be played by absolutely anyone, of any age category. The most conventional difficulty with a musical instrument in the knowledge of its key and notes. Skoog will let you make your own. You can learn to play this instrument within seconds. The existing instruments have a type defined and whose norms have to be followed in order to obtain quality music. Since you can create your own notes all you have to do is focus on the sound being obtained. Now you can create your own melody very easily. It has a very simple structure. It is basically a soft and squeezable cube made of foam. It has five protruding hemispherical spots on five of its sides. 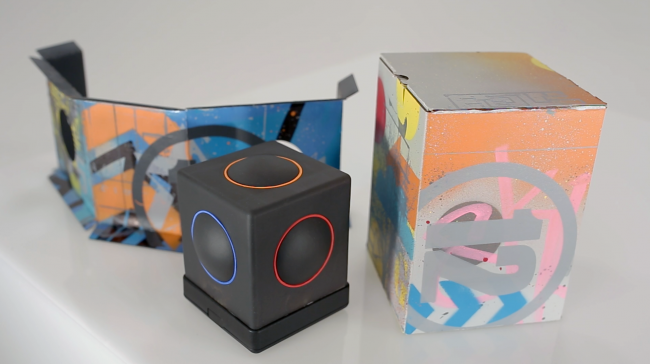 The body of this cube acts as a controller to provide input for the software compatible to it. Not only the protruding spots produce sound notes, the entire body of the cube has the ability to provide response to the touch. 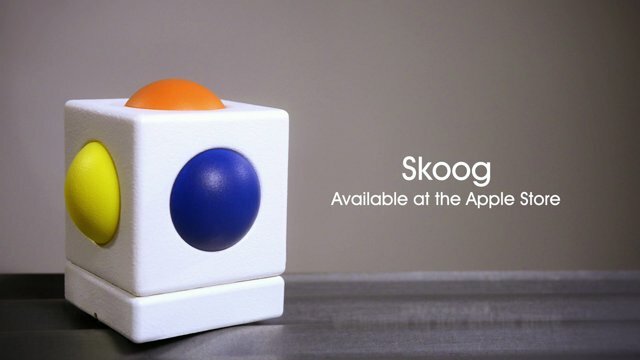 The body of Skoog has embedded sensors which recognize pressure being applied on the surface and corresponding to the pressure applied and the position, a sound note is released. It also makes it possible for visually impaired users to compose their own sound track by coupling the Skoog to other music software that can provide you the base beats. The Skoog uses the concept of physical modelling which provides it the power to generate music notes depending upon the pressure being applied and the position picked up by the sensor. Physical modelling captures the nuances of each particular instrument; play the Skoog as a flute and you’ll get the appropriate notes generated by flute, with the same sound quality and enriched tones and timbres determined by embouchure depending on how you physically manipulate your Skoog. Additional features include the portability that it provides because it is wireless and it is also IOS compatible. Various variations of Skoog are available with varying price range. The starting range is from $135 and the most sophisticated model will cost about $279. This in not quite a big price to give your disabled child the joy of music.